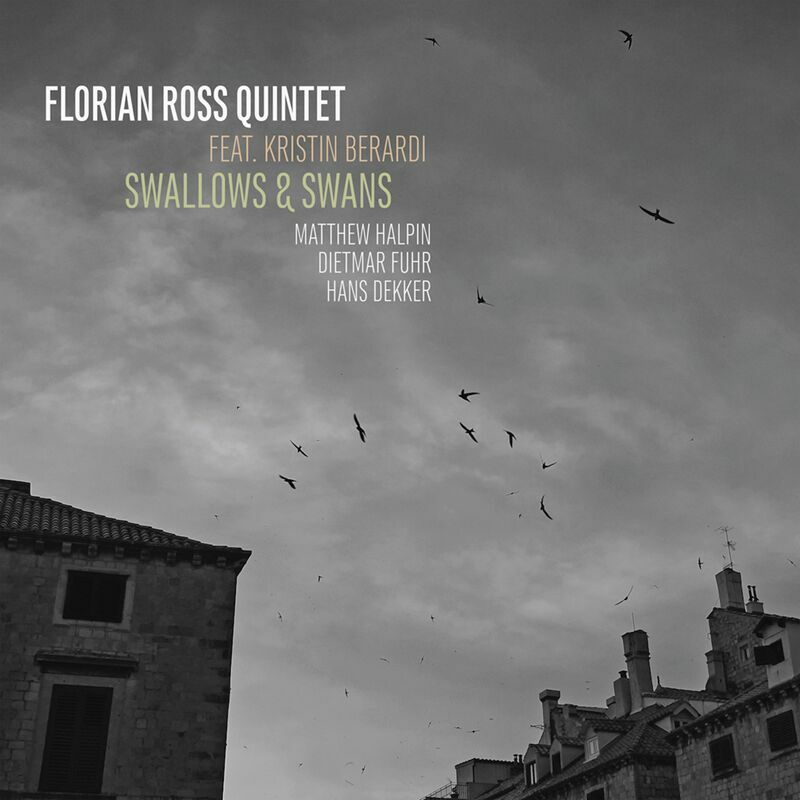 German composer and pianist Florian Ross has released his latest album “Swallows & Swans” on November 25 on his own label Toy Piano Records. The album contains 10 original compositions by Florian Ross plus one composition by Renaissance-composer Orlando Gibbons and one Irish air. The album features Australian singer Kristin Berardi, who added the lyrics on two songs, other lyrics are from late 19th century writers Robert Louis Stevenson, Samuel Ferguson and Henry Wadsworth Longfellow. 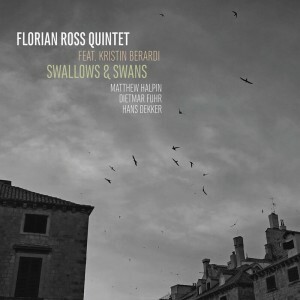 Florian Ross lives and works in Cologne, Germany and this is already his 18th album. 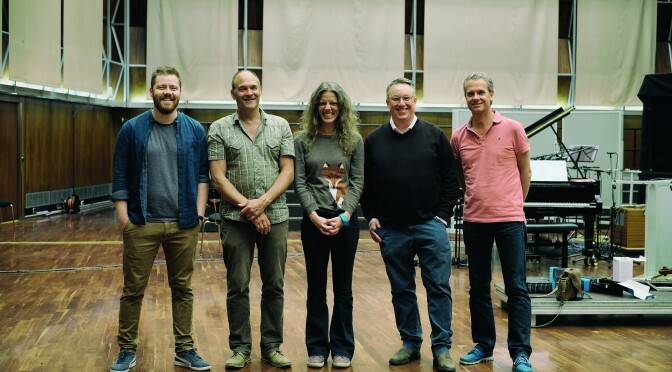 He is a sought-after composer and arranger and his commissioned works include pieces for the German NDR and WDR big bands, the Netherlands Metropole Orchestra, the BBC Big Band, the Danish Radio Jazz Orchestra, RTE Irish Radio Orchestra and the Sydney Mothership Jazz Orchestra. Kristin Berardi made headlines when she won the Montreux Jazz Festival’s International Vocal Competition in 2006. She lectures in jazz voice at the Australian National University in Canberra. She released an album with master guitarist James Sherlock (whom I saw live some 8 years ago at in Melbourne) which was short listed for Best Australian Jazz Vocal Album at the renowned Bell Awards. Hans Dekker (Netherlands) – drums. An ambitious project that has been realized with the support from the Deutschlandfunk radio station. Florian told me that he wanted to make an album with a vocalist for a long time, but failed to find the right person. He thinks that Kristin is not only a singer but also a musician who is able to take different roles depending on the arrangement and so he found with her the perfect cast for this project. Florian’s passion for English music and literature determined the selection of the lyrics for this album. The album starts with “Midway”, softly but very rhythmically with drums and piano. Saxophone and vocals “play” the beautiful melody and solos go to Mathew Halpin on soprano saxophone and Florian Ross on piano. “Horologe of Eternity” is a slow balladesque tune with lyrics from Henry Wadsworth Longfellow presented by Kristin over a complex harmonic structure played by the piano in steady arpeggios. The solo part in this song is a dialog between voice and saxophone. “Recurring Dream” is another tune where Kristin sings the melody without words, again together with Matthew Halpin on soprano saxophone. The groove changes from 3/4 to 4/4 meter for the solos of piano and saxophone and returns to 3/4 meter for the melody. “Swallows” the title song comes next. Lyrics for this song are from Robert Louis Stevenson and Florian Ross has composed a great melody around this text. This song gets it’s special mood from the harmonies changing between major and minor key. “Solid Air” is much more pushing then the tunes before. Based on a piano riff it develops into a great saxophone solo and a formidable piano solo. This tune is one of my highlights on the album. “Looking Inward” has lyrics from Kristin Berardi and is the next ballad. It begins in a dark and mysterious way, but moves to a positive mood. We hear a soft saxophone solo with the piano holding long chords, very open and spacious. “Cold Smoke” again with lyrics from Kristin starts with vocals, bass and drums, the piano is added and the pulse comes from a 7/4 meter. We hear a gentle saxophone solo and a precise piano solo. The song ends in a very melancholic mood. “Albatros” is even more sophisticated than the tunes before with a complex melody over harmonies with changing tonal centers. A short bass solo and a dynamic vocal solo by Kristin Berardi make this song fascinating. “The Silver Swan” by Renaissance composer Orlando Gibbons starts with piano and saxophone only, elegiac and majestic and keeps this spirit throughout the whole song with Kristin Berardi again presenting the lyrics in a soft and plain way, almost without any vibrato and perfect intonation. “Kolibri” is a short freely improvised tune with nice sound painting by Matthew Halpin on tenor sax. “Trip to the Water Cooler” returns with a pushing pulse by drummer Hans Dekker. Soloists are Matthew Halpin on saxophone, Dietmar Fuhr with an excellent bass solo and finally Florian Ross on piano. Another highlight for me because the band plays really unleashed here. “The Lark in the Clear Sky”, an old Irish air closes the album. The lyrics are by Sir Samuel Ferguson and this tune is also played in a very traditional style , piano and vocals only, very atmospheric and a gorgeous finale for this album, leaving us in a great melancholia. This album shows a complete different facet of contemporary jazz music which is heavily influenced by composition and arrangement. We see here with Florian Ross a master of this form. The arrangement are subtle and sophisticated but provide space for improvisation and individuality. The use of the voice is extraordinary but also part of the whole concept of this album, so it fits perfectly. I enjoyed it very much. Overall an excellent album which I can highly recommend. The album is available on CD Baby, iTunes and Amazon and you can order a “real” CD at Florian’s own label Toy Piano Records.